...dude! I just want to get in shape. Ahang writes: Regarding The Iranian Times subscription: maa dar iraanim. daraamad ham beh dolaar nemigirim keh bekaahim in ghadar hagh-e eshteraak bedahim. maa faghat do daneshjooye badbakhtim. toro khodaa komak konid.. agar khaastid yek Mstercard baa mojoody $2,000,000 baraaye maa beferestid, savaab daarad. makhsoosan dar in maah mobarak. It soon will be openly disgraced. Your face appears with every breath it takes. 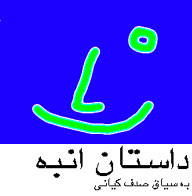 This is an Iranian site. But it's asking everyone to express their views on whether the disputed island belong to Iran or the UAE. Take a look behind the scenes as the National Gallery of Art in Washington, D.C., plans, designs, and constructs an ambitious, large-scale exhibit titled Art Nouveau, 1890-1914. I'm Arash; I'm the descendant of Cyrus and Dorious. I'm the son of Persia. I'm what made Persian Empire mighty. I bench- press 300 pounds and dead-lift 500 pounds. I'm the pride of 2,500 years of history and civilization. I'm the one who stumped Alexander the Great. I'm the one who defeated Arabs and Mongolians. I'm the envy of other civilizations. I put fear in hearts of my enemies. I represent Persian pride and greatness.